Situated in secluded Norfolk countryside, Bressingham Hall & High Barn is a beautiful wedding venue located in the renowned Bressingham Gardens, on the Norfolk / Suffolk border. Elegant and stylish, Bressingham Hall & High Barn blends contemporary chic with authentic character. The venue boasts the beautifully restored High Barn, Bressingham Hall as well as the breathtaking gardens for photographs. Licensed for ceremonies and offering luxury guest accommodation, this is truly a hidden gem. Visit the show to view the venue, including complimentary access to the formal gardens, and discuss your requirements with the array of quality suppliers exhibiting on the day. Welcome to Luxe Love, dedicated to the luxurious, quirky and curious. We have selected over 30 exhibitors, all dedicated to offering you ideas and inspiration for your wedding. You'll be surrounded by the most talented, professional and luxe-loving people we know! From dresses and cakes to stationery and music, we have the best wedding suppliers from Suffolk and beyond, so why not come and say hello? You'll also have the opportunity to see what Glemham Hall can offer you as a venue for your wedding. A beautiful, historical house with stunning gardens - the perfect setting for your wedding. DON'T MISS The Powder Room, Show Special Offers, Pop Up Cafe, Live Music and Gift Bags for the first 50 couples! ENTRY: £1.50 per adult. Children go free. MJR Events are pleased to announce The Sprowston Manor Hotel Wedding Fair on Sunday 19th May 2019. Sprowston Manor Hotel is over 450 years old with charming features perfect for your wedding day from their grand sweeping staircase to their original historical fireplaces, landscaped gardens and calming water features. The Norwich Wedding Show is on Sunday 19th May 2019 from 10.30am - 14.30pm at the Holiday Inn Norwich. A friendly, welcoming wedding exhibition created for you to meet the best wedding suppliers and help you organise your wedding. A vibrant wedding show full of edgy, unique and colourful suppliers; live music and catwalk show: "Sweet dreams are made of this"! OUR MISSION: to inject style and excitement into wedding fairs - forget awkward silences, you will walk into a vibrant, lively fair full of warmth, atmosphere and inspiration.OUR VISION: a vibrant show full of edgy, unique and colourful suppliers; live music, glitter bar and New Creative market showcasing the best up and coming talent in the wedding show industry. There will also be an exciting and cutting-edge catwalk show.This will be THE MOST EXCITING wedding show Suffolk has seen.Forget traditional, if you are looking for alternative, boho, indie vibes: this is THE SHOW for you. We will bring you the coolest and creative suppliers across East Anglia in a show full of energy, excitement, passion and inspiration.We are not going to be running another show this Summer - this is it. MJR Events are pleased to announce that we will be hosting another wedding fair at The Forum in the heart of Norwich. The Stunning Autumn Wedding Fair is on Sunday 8th September 2019. The show is set in the unique surroundings of The Millennium Grandstand at Rowley Mile Racecourse in Newmarket, Suffolk. The best suppliers from the surrounding areas of Suffolk and Cambridgeshire will be joining us on the day to give you a fantastic choice for your wedding, including florists and wedding cakemakers to wedding dresses and chocolate fountains. With over 100 exhibitors, the show is a day out in itself. You can also have a full Sunday lunch or snack here to complete your visit. This will be the 13th time that Take My Hand Wedding Fairs presents The Apex Wedding Fair. We are now known as the BIGGEST wedding fair in Bury St Edmunds! Around 50 wedding exhibitors will be with us on the day. We offer a spacious and modern setting in which you can chat with wedding experts about your plans for the day, grab some lunch at the cafe, listen to live music, see demonstrations, enter exclusive competitions and get inspired! Whatever you're looking for, it's sure to be here. - Ample parking spaces surrounding the main building. We look forward to welcoming you to The Apex Wedding Fair. Caistor Hall Hotel is located on the outskirts of Norwich and invites you to a welcoming atmosphere in which privacy and luxury are all important. The Hotel is now under new ownership and the new owners are very keen to build on the wedding services that they can offer. The classic combination of warm colours and traditional Georgian features help create an intimate and restful environment in which their staff will ensure you experience a truly exceptional stay. The luxury hotel comes with breathtaking gardens and scenery, which can be an ideal wedding venue in Norwich. Caistor Hall's magnificent marquee is situated within landscaped gardens and suitable for small and large weddings and was the location for The Wedding Prom & Party Show. The Athenaeum Wedding Fair is on Sunday 6th October. We welcomed some of the best wedding suppliers across Suffolk and surrounding counties, who had everything a couple needed to help plan their special day all in the historic venue. Adnams Bury St Edmunds sponsored the welcome drinks for the brides to be with a glass of their delicious Prosecco. We also offer a bridal goody bag for the first 150 brides to be, containing 3 glossy wedding magazines full of ideas! The Oaksmere Wedding Fair will be held in their grand marquee and filled with some of both Suffolk and Norfolk's top wedding suppliers, featuring everything a couple needs to plan their wedding day. Brides and grooms-to-be to be will be greeted with a FREE glass of Adnams Harleston Prosecco and a bridal gift bag featuring glossy bridal magazines full of ideas and inspiration! Come and view our stunning ceremony and reception rooms and beautiful formal gardens nestling in the heart of hundreds of acres of forest. Meet the team and let us help you plan your perfect wedding. 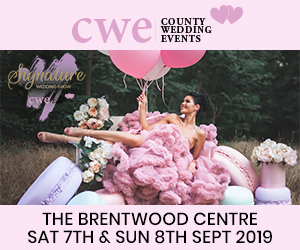 Some of the regions finest wedding suppliers will be exhibiting with us including florists, photographers, cake makes, mobile discos, toastmaster, venue decorators and more. Kings Lynn's well established wedding fair returned to The Kings Lynn Corn Exchange on Sunday 12th January 2020. Over 40 top wedding suppliers who will have everything you need to help plan your special day all in the historic venue. Hosted by MJR Events.